Don’t hide beautiful jewelry away when it is beautiful and should be seen! 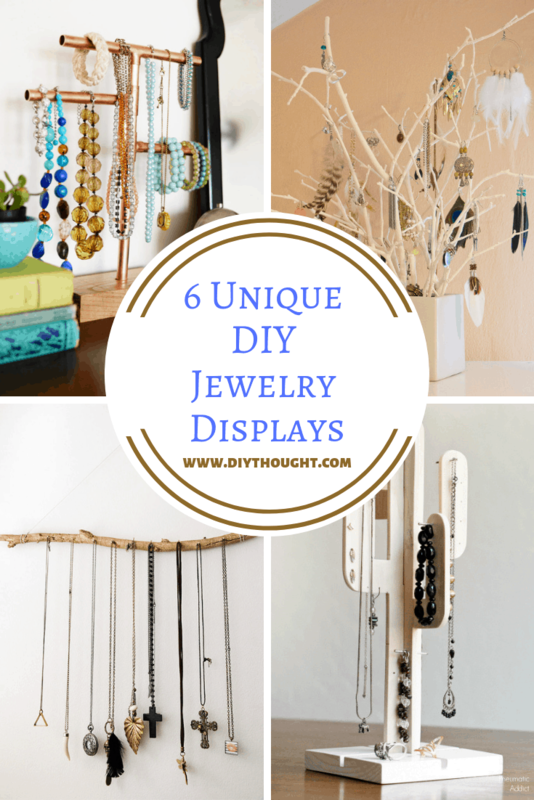 Show off your jewelry on one of these stunning and unique DIY jewelry displays which are also fun to make. Keep reading to discover 6 unique DIY jewelry displays which will add instant bedroom decor appeal! 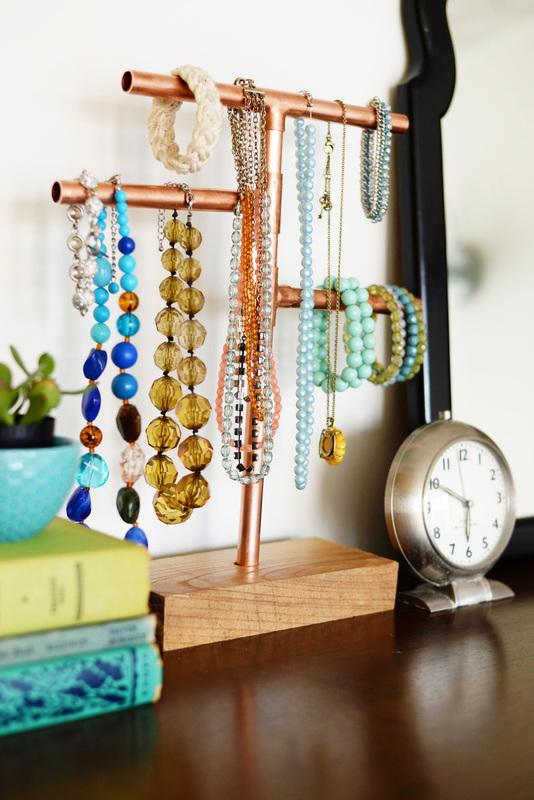 Love the copper and love how this looks even better than any store bought jewelry stand! Click here to find out more. Such a simple idea which looks amazing! This would also look great made from driftwood. Follow this link to find out more. 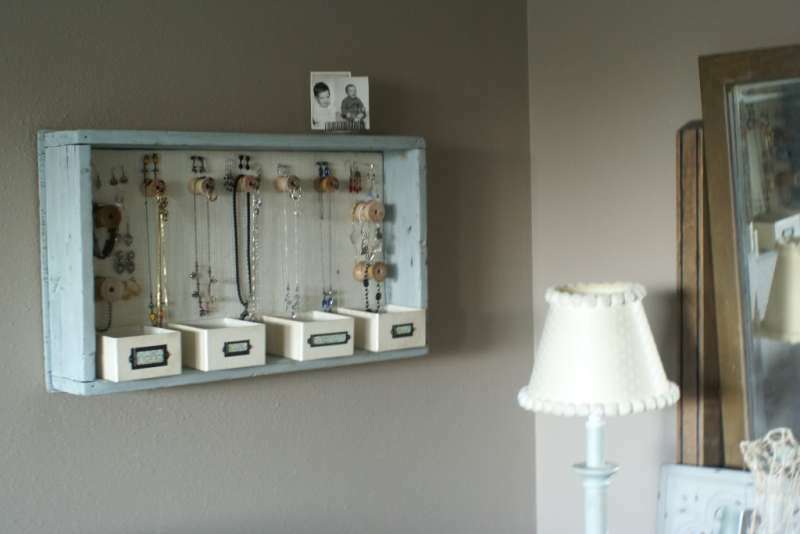 This unique jewelry display has enough space to store all of your jewelry and looks lovely. Click here to find out more. 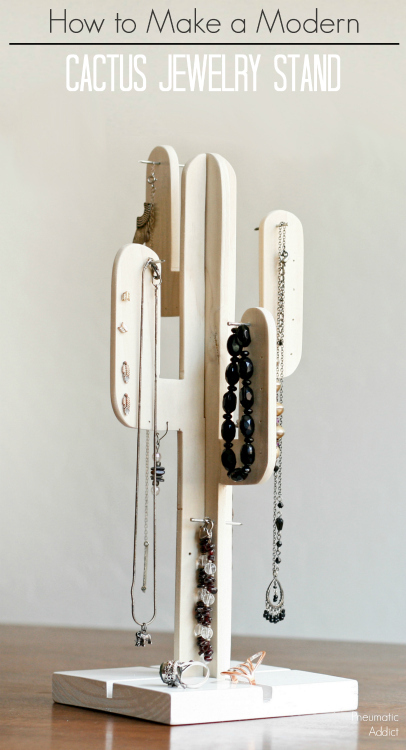 This is one funky jewelry holder which will make your jewelry really stand out! Find out how to make it here. 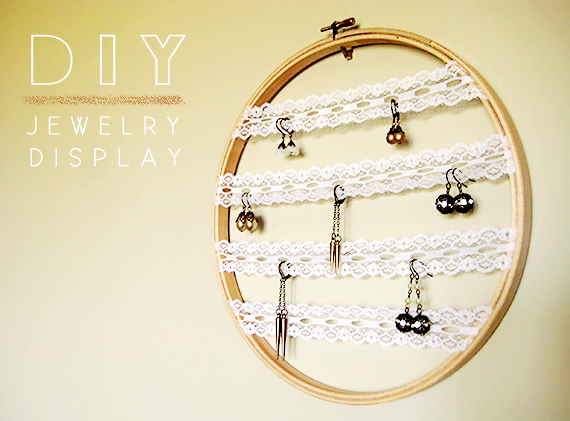 The ultimate feminine jewelry display which is so simple and quick to make. 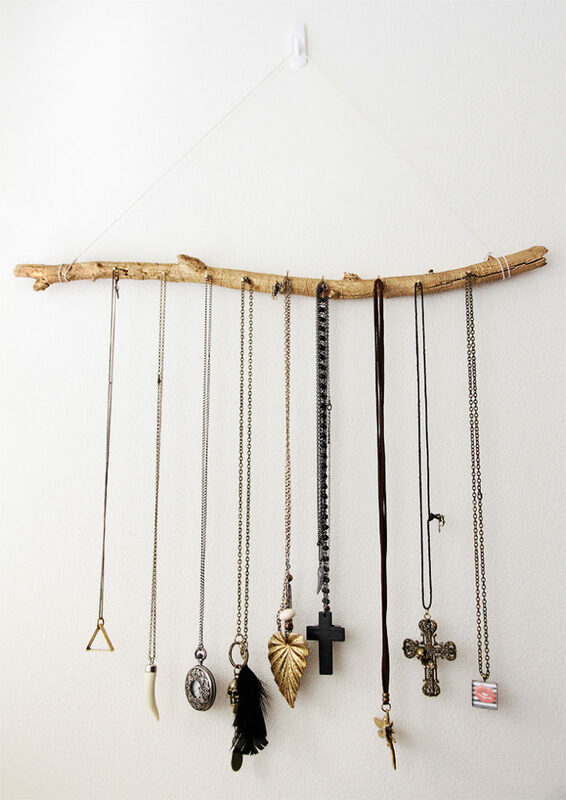 There is no reason to hide your jewelry away when you could make this display in next to no time! Find more about this display here. 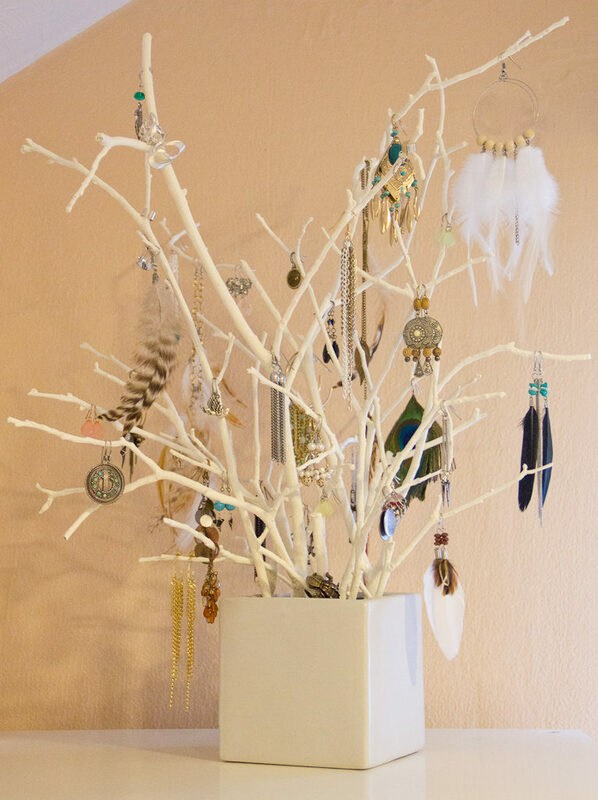 Turn sticks into an incredible jewelry tree like this one for a real stand out piece that will provide plenty of storage space. Click here to find out more.